SYRACUSE, N.Y. – August 9, 2018 — The Martin J. Whitman School of Management at Syracuse Universityhas announced a new partnership with the National Black MBA Association®as part of the first installment of the NBMBAA®Collegiate Partnership Program. The program aims to increase awareness and facilitate access to graduate and business education programs in professional fields across the country. Whitman is one of a dozen diamond-level partners nationally. Syracuse Whitman has committed to awarding at least two merit-based scholarships to NBMBAA®member students. The school must ensure that at least 25 students are NBMBAA®members. 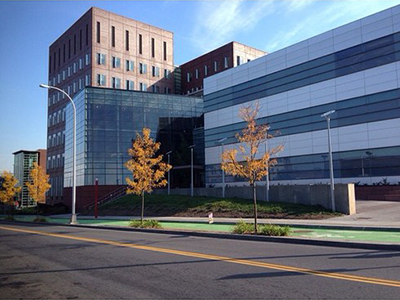 The Whitman School will hold an NBMBAA®event on campus every academic year. Syracuse Whitman will send a case competition team to the annual National Black MBA Conference and Exposition. Whitman hopes the partnership will help increase the diversity of the Whitman School community. In addition to the new partnership with NBMBAA®, the Whitman School also has a local chapter of the National Association of Black Accountants (NABA), a professional organization of minority accountants that today is open to all students. The Whitman School also embraces its international student population, many of whom are also of color, celebrating their heritage, culture and more at annual events.